The color of passion; Grapefruit Pink or Orange-based Pink is the color that could boost your mood. 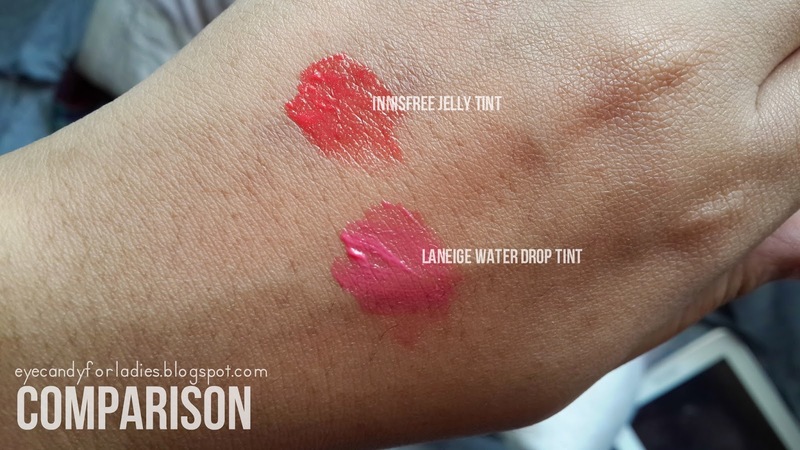 Often categorized as warm-tone color thus Innisfree launched the 2014 Limited Edition Jelly Tint that comes in 7 various Summer shades. 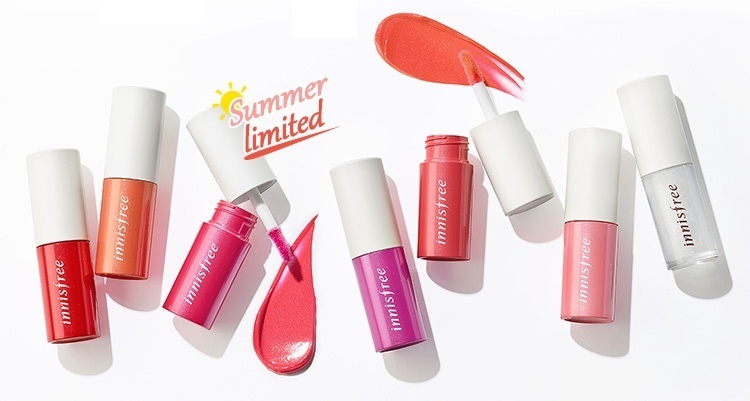 In Summer 2014, Innisfree launched Limited Edition Summer 2014 Jelly Tint that comes in 7 shades including 1 clear transparent gloss. The shades are inspired by summer's colorful & vibrant hues. 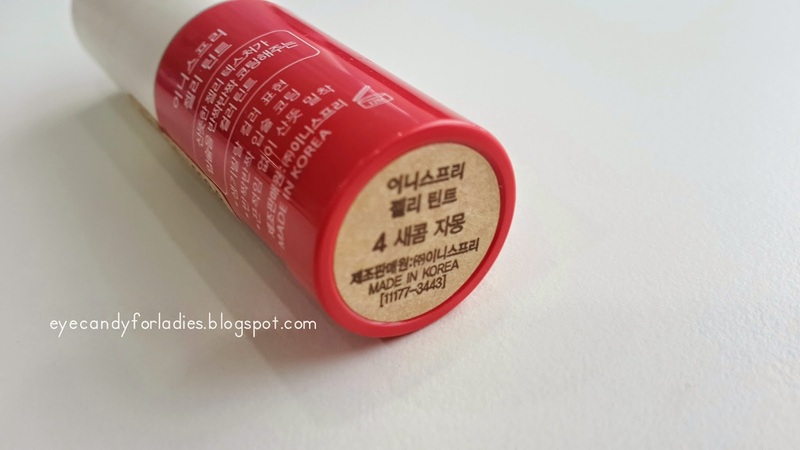 It is retailed for Won 6.000 and comes in typical Innisfree solid-white plastic packaging. 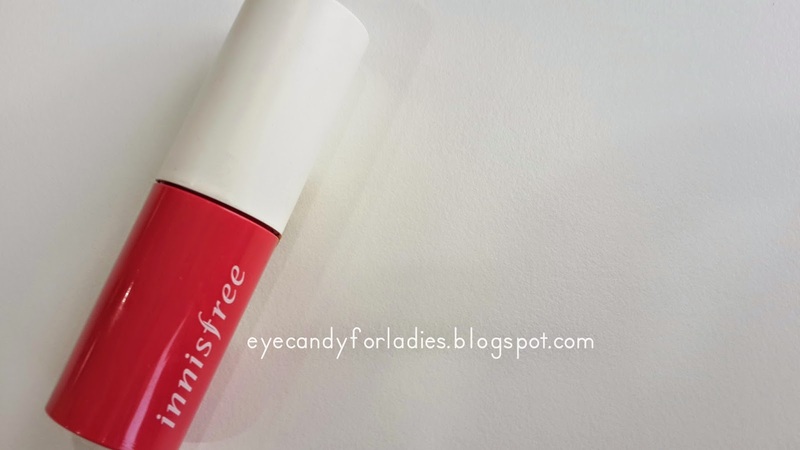 For more information about the product please check Innisfree official website. - Crisp and clear lively youthful color expression. 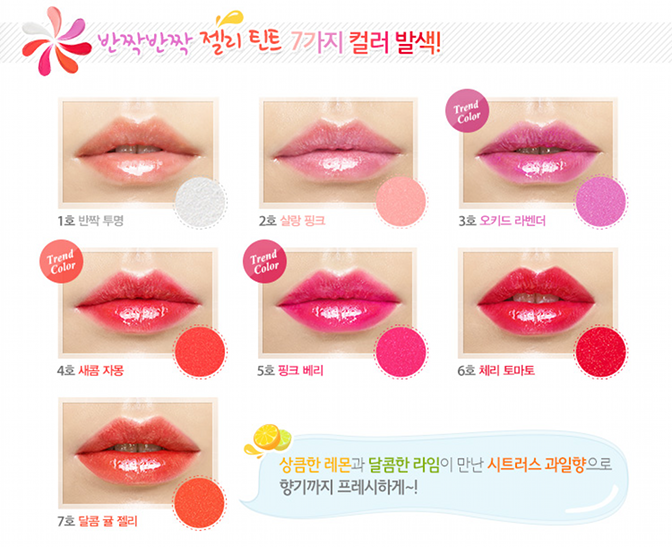 - Shiny lips coating, Jelly plumps lips! 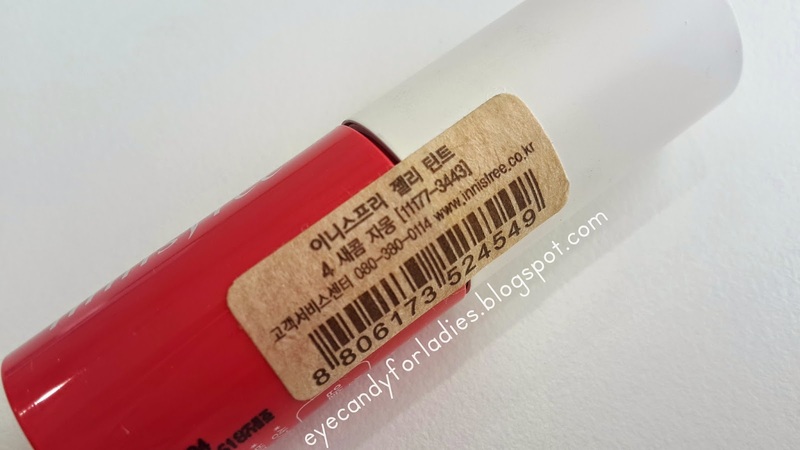 The packaging comes unboxed with a paper seal across the cap just like the Glossy Lip Lacquer series. 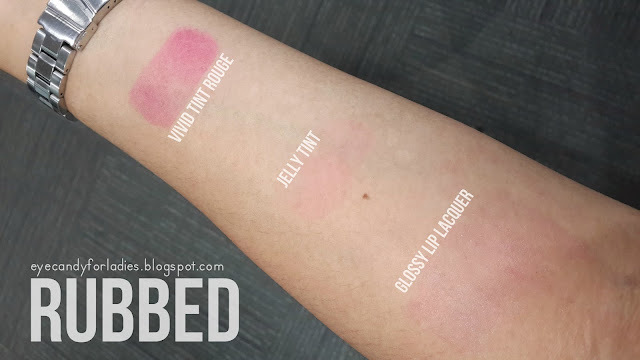 The tube is not transparent aka opaque case tube, much smaller than the popular Tint Lip Mousse range with a compact 7 cm height & contains 3 ml nett. 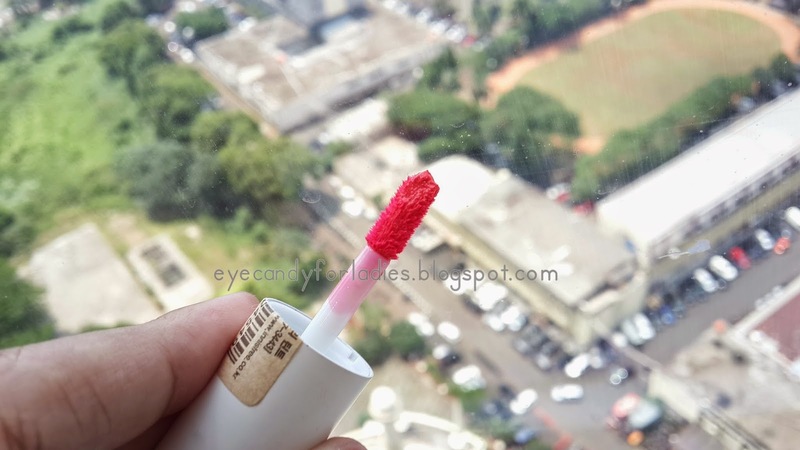 Frankly to say, the sponge is bit too small and not handy comparing to common sponge applicator but works well with its slanted end sponge. 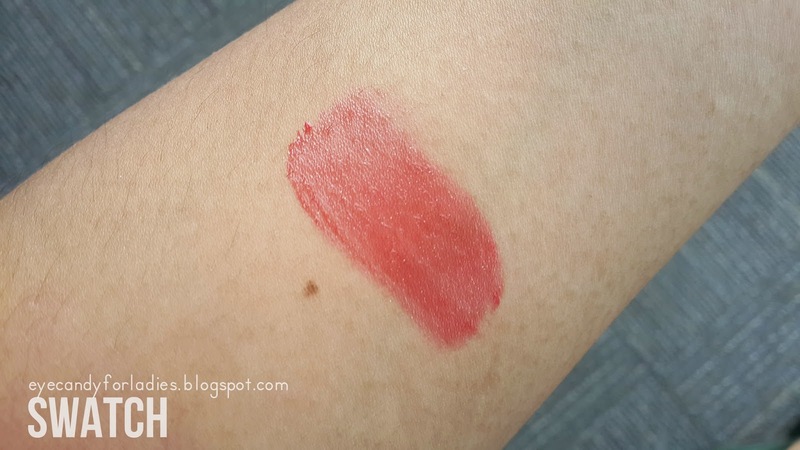 The shade reviewed here is #04 Grapefruit Pink which is a warm pink-orange with a tinge shimmer in it. 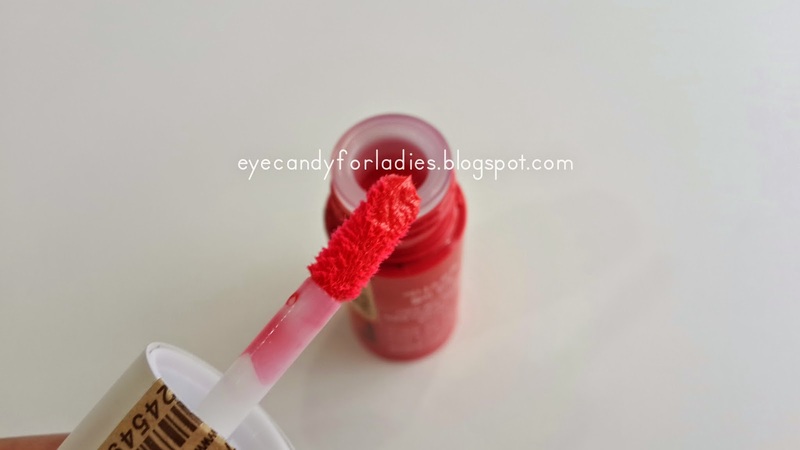 The liquid looks opaque in the tube, but when swipe on to the lip's surface the liquid will reflect a tinge of shimmer; it's hard to capture the micro-glitter in the pict, but you can see it by naked eyes. 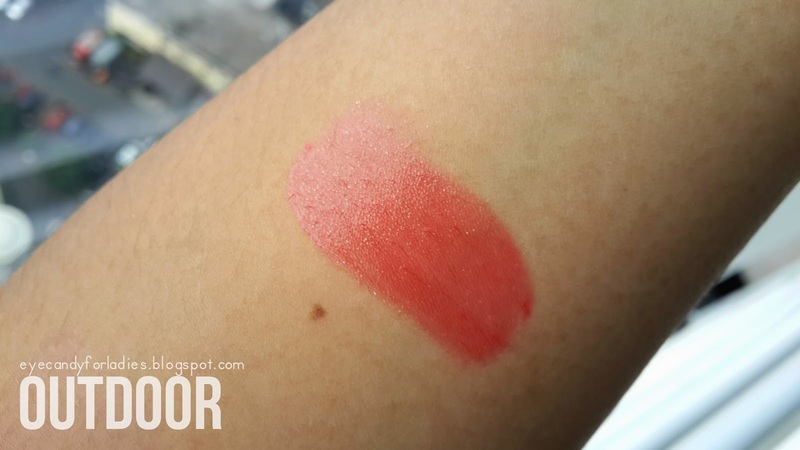 The glossiness doesn't stand out in the tube, but after applied then it will create a jelly-like, glossy finish. The color is categorized as warm hue; a gorgeous coral or Orange-based Pink similarly like Grapefruit color. The texture is kinda semi-mousse liquid in the sponge but turns into liquid-jelly as promised. 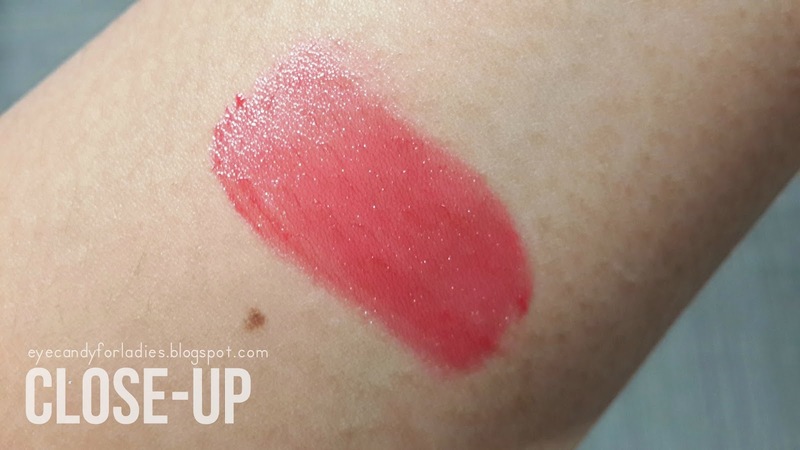 It works well in coating your lips with its slightly opaque color and will leave a nice stain after several hours during normal activity. 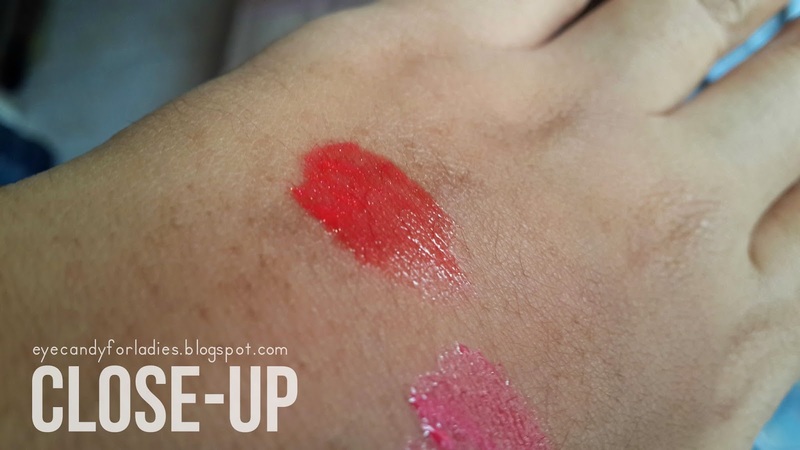 It lasts for normal 2-3 hours but when the shimmer fades out, the stain remains. Moisturizes well and gives a slight cool-mint flavor & sensation with a bit of tutti-fruity fragrant. One might find out that the acclaimed "Jelly" like texture comes out from its vibrant semi-mousse liquid + shimmering gloss.